Born June 21, 1897 in New Rochelle, New York. His father Father was Captain George Preston Blow, United States Navy, of Norfolk, Virginia, and his Mother was Adele Matthiessen of La Salle, Illinois. His paternal Grandfather was Judge George Blow, Jr. of Tower Hill, Sussex, Virginia; his paternal Grandmother was Elizabeth (Lizzy) Taylor Allmond of Norfolk, Virginia. His maternal Grandfather was Frederick William Matthiessen of Altona, Denmark; his maternal Grandmother was Fannie Clara Moeller of Altona, Denmark. He married on December 2, 1922 to Katherine Rowland Cooke in Chicago, Illinois. Their children were George Blow; Michael Blow; Anthony Blow; John Blow. Entered VMI on Septewmber 9, 1914 and graduated on June 15, 1917 standing second in a Class of 54. Bachelor of Science in Chemistry. Received MBA from Harvard Business School in 1921. Received Degree in Architecture from Columbia School of Architecture in 1929. Second Lieutenant, Field Artillery at Camp Taylor, Kentucky during World War I; Lieutenant Commander, Navy Dept. Washington, D.C.during World War II. 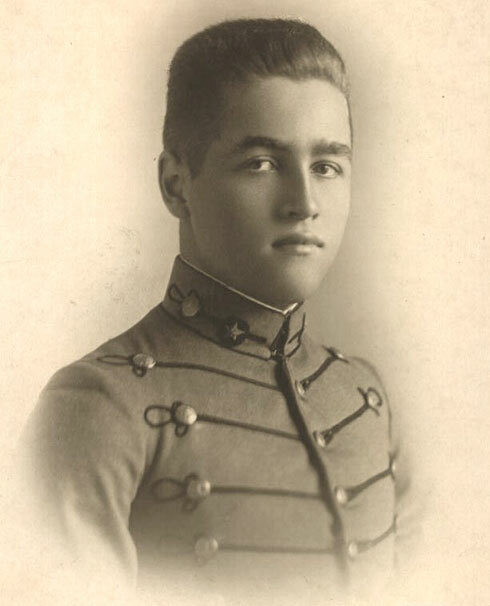 Instructor of Military Tactics and Mathmatics at Culver Military Academy; worked with his father at Matthiessen Hegeler Zinc Company in LaSalle, Illinois; did reconstruction work in war devastated France in the 1920's; worked for te New York Firm of Huzhak & Hill; became a partner in the firm of DeVaulchier, Blow and Wilmet in New York City before World War II. Member of the Society of Cincinnati. 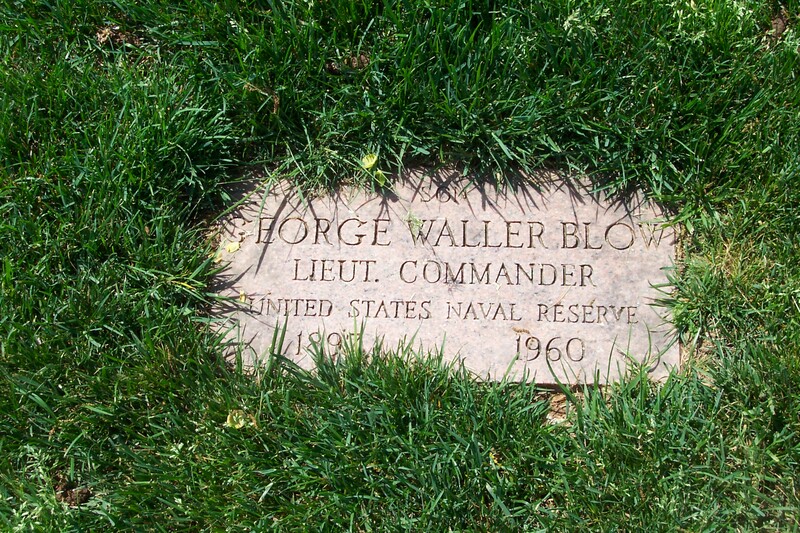 Died on October 28, 1960 in Hampton, Virginia, and was buried at Arlington Cemetery. YORKTOWN, Virginia, March 25, 1965 – Katharine Cooke Blow, a former staff writer for the New Yorker magazine, died today at her home here. She was 68 years old. In the 1920s and 1930s, Mrs. Blow wrote a regular column on restaurants under the pen name of Soubise. She and her husband, the late George Waller Blow moved here in 1942. At her death, Mrs. Blow was a fellow of the Pierpont Morgan Library. In World War II, she had been publicity director for the women’s division of the Virginia War Finance Committee. In 1945, she was a member of the International Secretariat of the United Nations Conference of International Organizations in San Francisco. She was a member of the Virginia Democratic State Central Committee, a trustee for the Town of York, a member of the Yorktown Day Association and a member of the board of trustees of the Williamsburg Community Hospital. Surviving are four sons, a brother and seven grandchildren. Posted: 2 December 2006 Updated: 4 January 2008 .